Dentures are designed to closely match the shape of your gums which means that new dentures will have good retention in your mouth. Over time the bones and tissues in your mouth change and this can cause dentures to become looser which may cause discomfort. 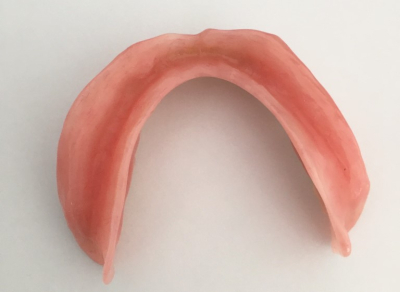 It is recommended that you have the fit of your denture checked regularly and that they may need relining every couple of years to adapt to the changes in your mouth. Relining involves resurfacing the internal part of the denture and an impression of your mouth will need to be taken. Our relining service does require an appointment with one of our onsite dentists.